Over the holiday break, I was asked to host the @indigenousXca Twitter account, an account shared by different Indigenous activists, academics, and artists each week. I used that hosting opportunity to raise the question of author Joseph Boyden’s Indigenous identity—his “Indigeneity.” Raising this question inadvertently brought an Indigenous debate about identity and belonging into the non-Native media mainstream. In that article, and in a subsequent appearance on CBC’s The National this Sunday, Kay focused on the issue of race, saying “I am troubled [by] the interrogation of someone on the basis of their racial ancestry.” He characterized the APTN investigation into Boyden’s ancestry as being “precisely about his genetic makeup,” and suggested that it would lead to a “DNA test mentality” in determining who could speak for Indigenous communities. On each of these three points, Kay is incorrect and shows a misunderstanding of the context of this Indigenous debate. To Indigenous people, Boyden is not just a novelist; he is a politician. It did not take very long for the ugly “Birther” movement to migrate north from the United States . . . Despite the accusations, there is no proof [Boyden] fabricated anything. He has always maintained his ancestry to be Scottish, Irish and Métis. The latter term has several meanings, but always includes Canadians with mixed ancestry of Indigenous and settler peoples. When I posted my first set of Tweets on Joseph Boyden in late December, I began with a discussion of identity, in which I used non-Native Postmedia writer Terry Glavin as an example of inclusion. When I was a teenager living on the Katzie First Nation reserve, in BC’s Lower Fraser Valley, Glavin was a constant presence. He could be seen working at the band office, dropping by my mom’s restaurant for a burger, or fighting to help the community assert its inherent fishing rights. When my cousin, a native fisheries officer, was killed in an accident on the river, Glavin wrote the report for the inquest into his death. Most relevant to this debate, he wrote the definitive book on St Mary’s Residential School—the school attended by my grandmother and several of my aunts. Glavin is one of a dozen non-Natives I’ve known over the years who have committed themselves to the “rez,” and who earned a place as part of our community sans any Indigenous DNA. I introduced this point to demonstrate that there is a path to belonging, or as Wab Kinew said in his January 3 Globe and Mail article: “There is room in our circle for Joseph Boyden.” But in our culture, as in every culture, it’s something that has to be earned. It is important to note that it is Boyden himself and his supporters who refer to blood. “I have one-eighth aboriginal blood, the same amount as Louis Riel,” he once declared. In the non-Native media, the issue has been debated entirely on Boyden’s terms—of blood, DNA, and ancestry. Over the years, Joseph Boyden has described himself as a member of different indigenous communities from those he now claims to be part of. In an interview with a New Orleans paper, he referred to himself as “Mi’kmaq . . . an east coast tribe in Canada.” In others, he calls himself Métis. According to Muskrat Magazine editor Rebeka Tabobondung, he told her he was from the Wasauksing First Nation (something Tabobondung could not verify). It seems that almost every day another First Nations collaborator of Boyden’s comes forward to tell of a different claim from Boyden. 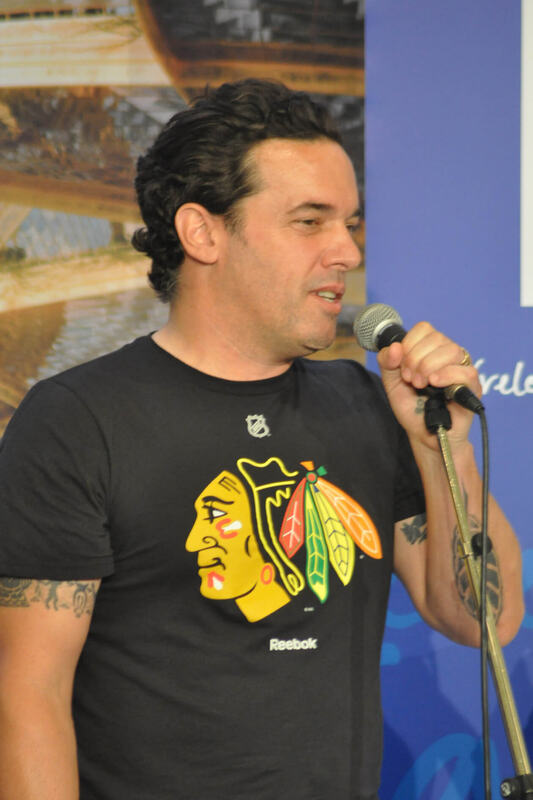 Boyden has established himself as a political figure in First Nations communities, and has become more and more involved in the issue of Reconciliation. To Indigenous people, Boyden is not just a novelist; he is a politician. And no other Canadians would be asked to remain silent and take the word of a politician who had so many different stories on something so basic to their identity. When it’s not about Indigenous people, Canadians understand that to be “one of us,” you have to commit to us and be accepted by us. Addleman was writing about the inclusive nature of “Birthright Israel,” an organization founded by Canadian philanthropist Charles Bronfman—a good deed for which The Walrus praised him again in the October, 2016 article When the Rich Were Kind. Throughout the Joseph Boyden controversy, a version of that formulation has been heard again and again from Boyden’s Indigenous critics on Twitter, including Chris Andersen, Beadworker, Jyl Shaffer, Robin Mazumder, Hayden King, Starleigh Grass, and shadyhfz. To borrow from Birthright, a Native is a person who identifies as Native and is recognized as such by an Indigenous community. At its most basic, this is the definition of Indigeneity that few Indigenous people would dispute. Of course, there are those who would dispute what I’ve described above, including the question of what constitutes acceptance by a community. There are more than 200 different independent First Nations membership codes in Canada; and thus, such political questions being what they are, 400 different opinions on the subject. But by the broadly accepted definition I’ve put forward, it appears that Joseph Boyden is not Indigenous. While he may self-identify as one of us, he has yet to point to a community that recognizes him as such, though he has tried to point to many different communities. The issue of Indigenous identity, which The Walrus and other Non-Native media now have inserted themselves into, has become hotly debated by Indigenous people in the wake of tribal disenrollments in the US—as well as side effects of Canada’s 2013 Family Homes on Reserves and Matrimonial Interests or Rights Act. The 2013 Act, passed against the objections of First Nations, forced every First Nation to examine membership rules, including how they relate to Non-Natives inheriting the rights and property of their First Nations partners. The outcome of these debates has been varied, and ranges from the widely criticized blood quantum rules of Kahnawake, to a laissez-faire contract-based system of inheritance—one that is open to inheritance by non natives—that my mother is helping to introduce on the Kwantlen First Nation. Online, in Indigenous publications, and in band councils across this country, we’ve spent the last three years talking about identity, even if the non-Native media has been slow to notice. The Joseph Boyden controversy fits into that context. Something that appears to be hard for Non-Native people to accept is that they don’t get to define our communities for us anymore. This is our debate, and it’s one taking place, in separate forms, in more than 600 different communities across Canada. The outcome of that debate may define what it means to be Haida or Wendat. But what it won’t do is define what it is to be “Native.” And that’s because there is no such thing as a “Native.” The blood-based native identity that Joseph Boyden asserts is not a valid Indigenous identity. There are Salish people, Haida, Cree, Ojibway, Métis, and Mi’kmaq among many others, all three dimensional individuals you can walk up to on the street, and not one of which identifies with some culture called “Native.” Still, we are told that a thing called the Native race exists, that Boyden is a member of it, that his disconnect from any community doesn’t matter, and lastly that we have no say in this. Boyden has claimed many communities. The APTN article sought to investigate those claims, looking at his connection to each nation. They weren’t looking for people of a particular race, but to see if any ancestor had any connection with those bands. They found none. Many non-Native commenters tell us to ignore that, to ignore Boyden’s shifting stories because they like his books. Such voices publish on Twitter under the names John Corbett, JLuc, Mike Utsal, John Wilbur and Gerhard Gehrmann. For non-Natives to call this investigation a “lynching” or a racial witch hunt is the epitome of colonial arrogance. When Canadians were presented with Michael Ignatieff and his shifting loyalties, legitimate questions were asked. But when we Indigenous people present pointed questions to what is in effect, a shady politician, we’re treated to grade-school lectures about bad form. We’re told to accept someone as one of us who doesn’t meet our standards of belonging, because he meets a non-Native standard for a type of race-based identity that we don’t recognize. On top of that we see the media attacking us for imposing a standard of community-centred belonging that goes unquestioned when practiced by others (including, in the example provided above, Jewish Canadians). This double standard, and this dismissal of Indigenous concerns, is the most troubling aspect of the Boyden issue. Correction: an earlier version of this article misspelled the surname of Ian Campeau, a member of producer and DJ crew A Tribe Called Red. Why Is Joseph Boyden’s Indigenous Identity Being Questioned?